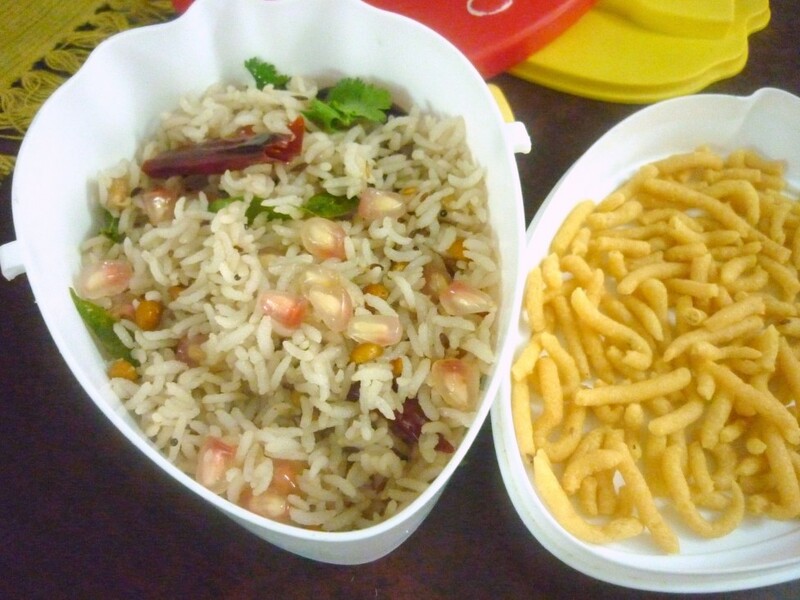 After thinking so much as to what next should be used for Konda’s Lunch box, I decided I should make the pomegranate rice. I remember Athamma saying that we must try it sometime when we had got those really rich and bright looking poms sometime back. Then I happened to read Radika’s post on Sia’s space, I loved the way it looked. I had been thinking for a while when I should make it. I knew I can’t serve it for hubby dear as he is not for any sweet rice dishes. Recently when Amma had made a green apple dal, he wasn’t given that. I knew about the fact that she was going to make a dal with it. But when she did, I didn’t know and was really taken in by surprise. 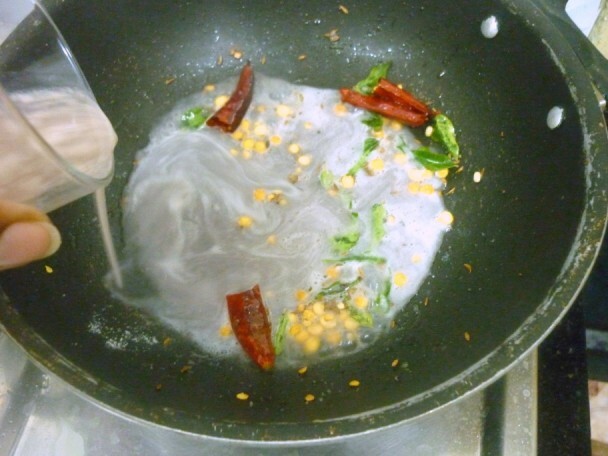 My colleagues liked it a lot and I knew I will have to make it again. Anyway we have to gear up to the fact that school is coming to close and kids will move to class higher. We had our third “Oksermation class”..that’s what my boys say for observation class that the parents are called for. They were happy to say that they are moving to the next class after this. I was wondering how fast the days are flying. 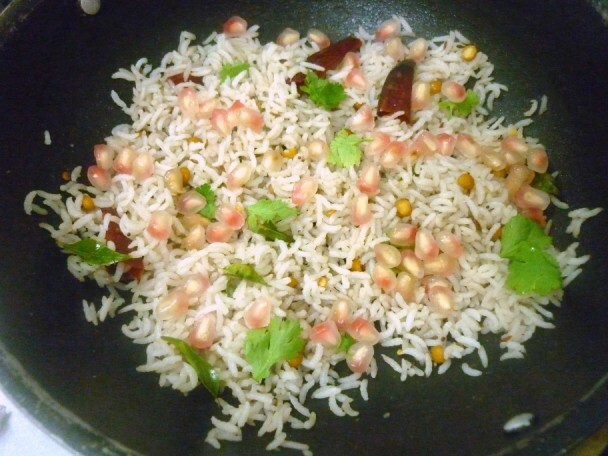 Coming to the recipe, since the pomegranate that I used were not those bright coloured Kabul fruit, the rice ended up looking almost pale pink in shade. While the juice was simmering I thought it will end up looking that pink but sadly it all evaporated and ended up looking pale. I clicked some pictures and showed Konda that she will be getting a new rice to try, she was surprised seeing those poms decorated on top. She wanted to know if I will be sharing this on the blog saying Konda liked it. Well the life of a food blogger ends up being so! Her verdict was that the rice was sweet for her but she would have liked it more if it was spicier. Well next time I said. Wash and soak rice for 15 mins. Pressure cook and keep it aside. Pulse the Pomegranate seeds to get the juice. Strain through a sieve to remove the seeds. Keep it side. Save some seeds for decoration finally. 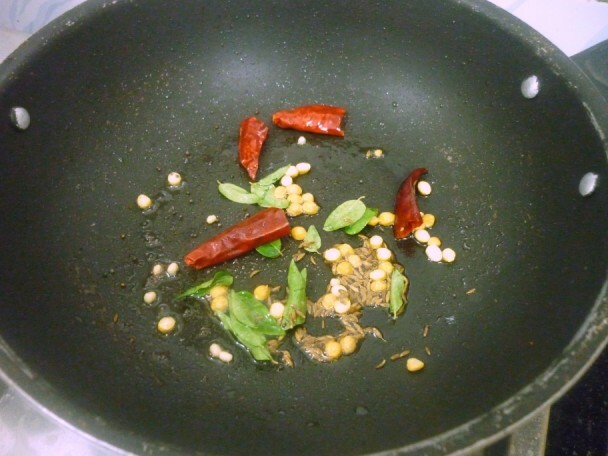 Heat a non stick with oil. 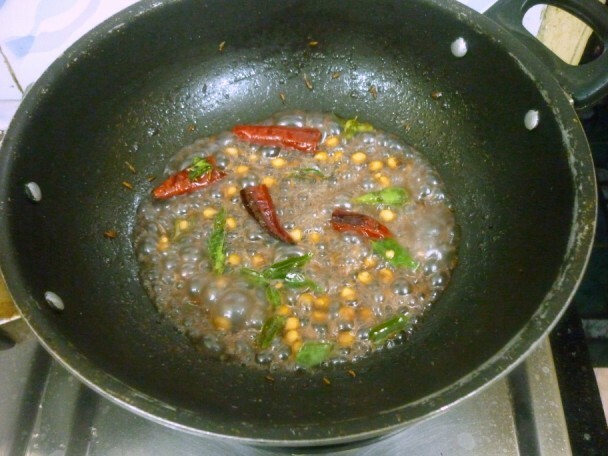 add mustard seeds, urad dal, curry leaves. 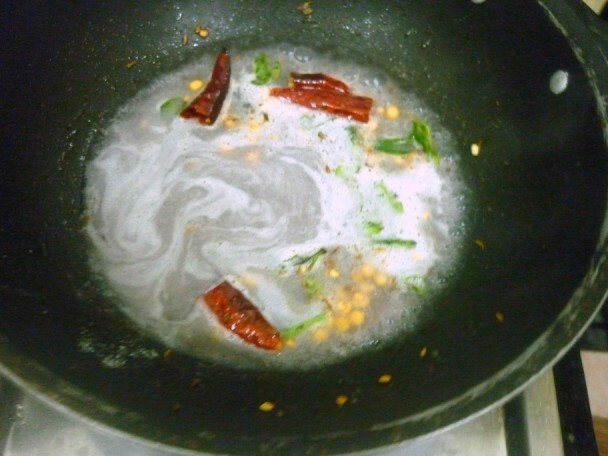 When they splutter, add the channa dal and saute well. Add the split dry red chilies and simmer. when they turn colour add the pomegranate juice. Cook in low flame for the juice to become thick. 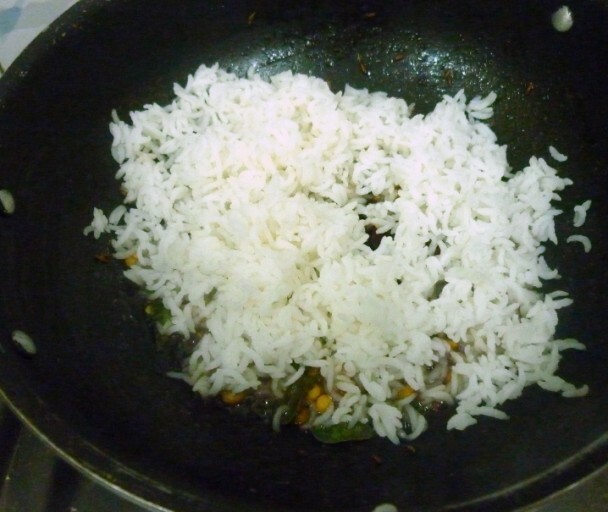 When the juice is really thick, add the cooked rice and fluff well. I am getting to see really some new rice experiments in this BM. Intresting…..this is something i never heard off .. 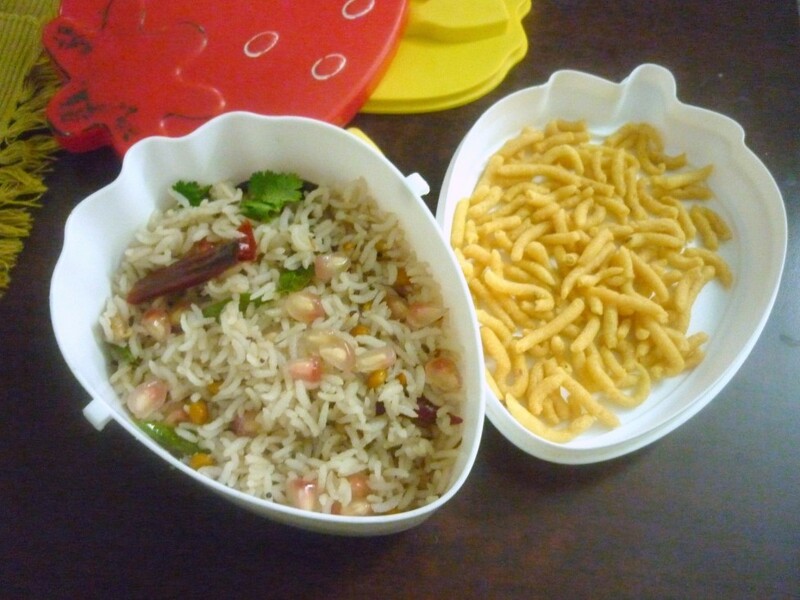 So Sweet of Konda to give a feedback:).Rice looks yummy, gonna give it a shot with my son. Great idea. I will remember this one when my time comes. 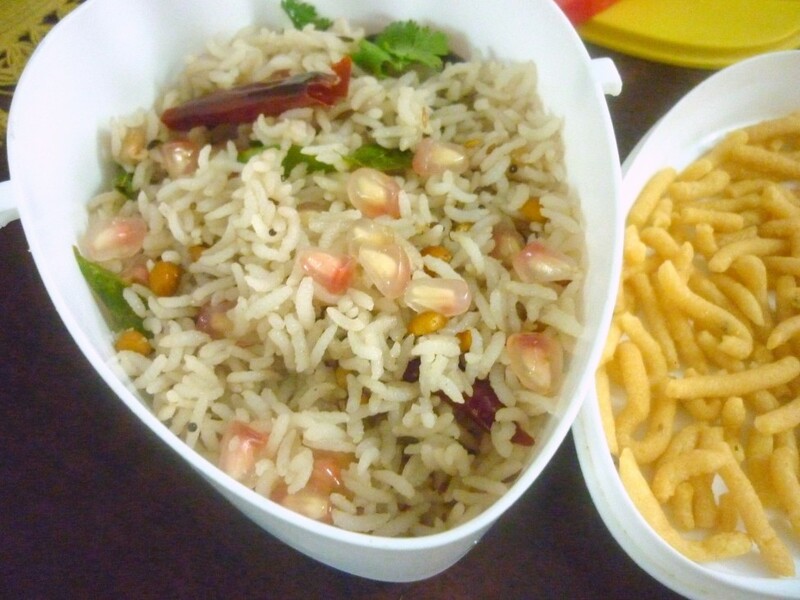 Interesting…i only add pom seeds to my curd rice…this sounds double yummy…loved your creativity! Valli I agree these would look so very pretty with those deep red ruby pearls…may be you could minus the juice and just add the pom…I feel the juice gives it a sweeter taste. 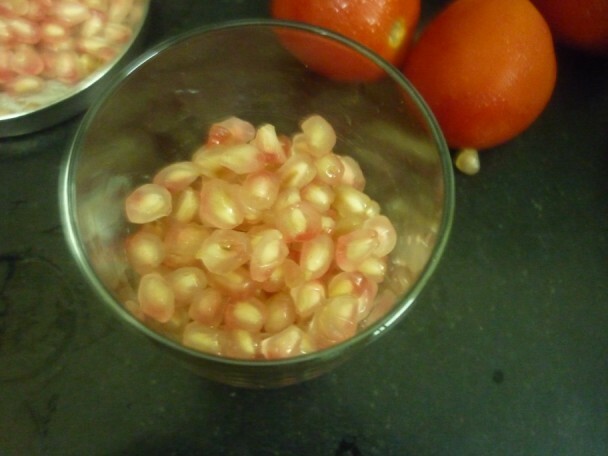 Cooking rice with pomegranate…what a lovely idea! lovely recipe. i would like to do these rice varieties for my son.